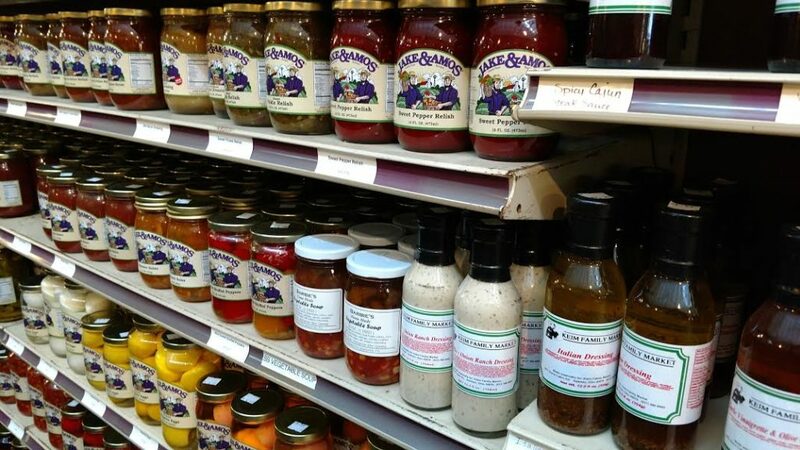 Home Everything Amish Plain Culture A Favorite Amish Market…. It’s going to be an early fall. Footballs are flying, veggies are ripe for picking, and the trees are adding their punctuation. I thought these things as we began September driving down the road over State Rt. 32 to our final destination in West Virginia. The Appalachian Highway. Governor James A. Rhodes’ lasting monument to his efforts to bring business and prosperity to the hill country north of the Ohio River. 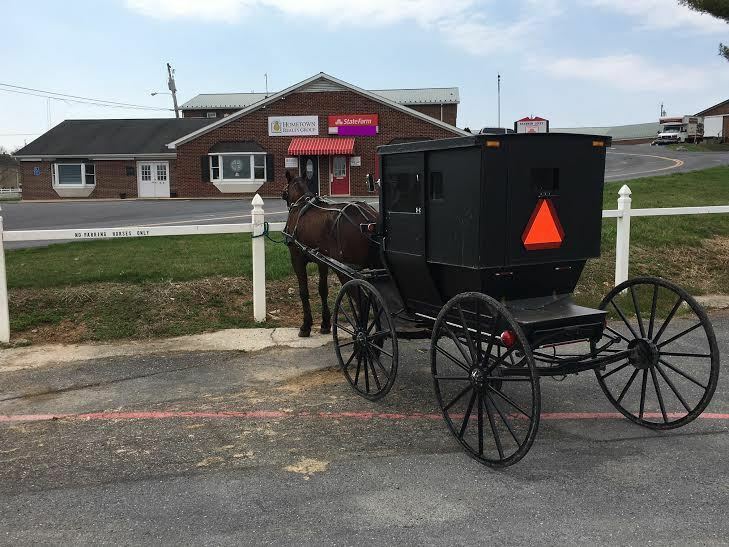 Our friends told us we were taking the long way, but the short way didn’t take us to our favorite Amish bakery, Keim Family Market. Leaving the freeways around Cincinnati heading east you can see the hazy hills of Adams County, the home of an Amish enclave that specialize in making study, incredibly beautiful furniture and baked goods that make you salivate as you walk into the door. But if you think that looking for the billboards that tell you that you are close to this delightful market is all that is there to see, you haven’t had the pleasure of letting your mind wander back to the times the area was settled. Having grown up in in Jackson, the county seat of the Appalachian county of the same name, I was used to hearing tales of life back in the hollers. A half a century later, I tend to romanticize life in the hills. Driving over the four-lane highway, look for the hollows, pikes, ridges, and runs that lend their names to the roads that lead into the southern hills. Pass Tranquility Pike, Cherry Fork, and Plum Run Road. 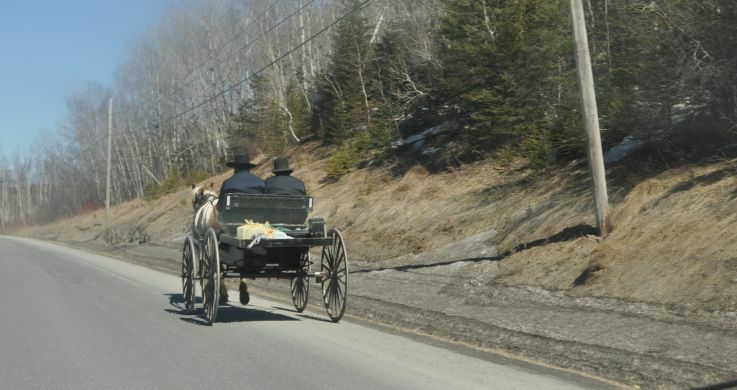 Drive past Black Hollow Road, Measly Ridge Road, Steam Furnace Road, and Tater Ridge Road. Somewhere amid these colorful places and you’ll see Keim’s Market on the south side of the road. Turn in and turn back time. 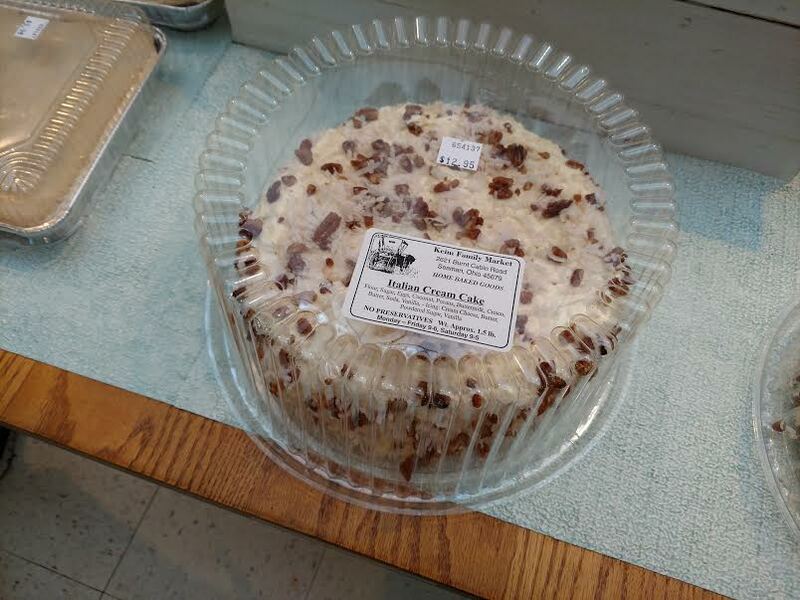 I’ve seen this Italian Creme Cake at Keim Market before and it’s always intrigued me, but I’ve never bought it – Kevin Williams caption, Paula Cohen photo. In between cloudbursts, we dashed from the parking lot to the covered porch of Keim’s Market past finely crafted outdoor furniture. Tables of all sizes and Adirondack chairs of many colors. We hurried past the bins of freshly picked produce, grabbing a cantaloupe that looked and smelled ripe. Inside, to the left we meandered through the tables, benches, hutches, and chairs. Touch one. I always have to touch run, running my fingers over the satiny smooth finish. Keim Market has an amazing array of bulk foods. Ah, and the bread…the homemade bread…. Weave your way back to the shelves brimming with homemade handsoaps and jars of locally made jams, jellies, and condiments. On another shelf are enormous, by grocery store standards, bags of flour, oats, and corn meal. 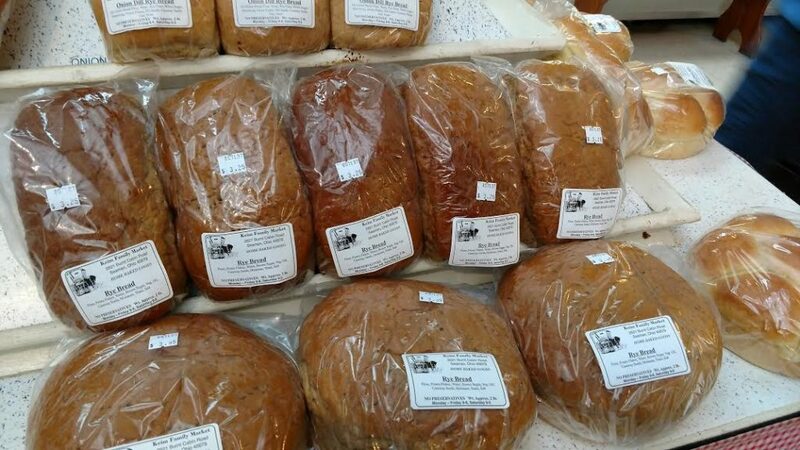 Grab a loaf of their homemade bread on your way to the sweets. 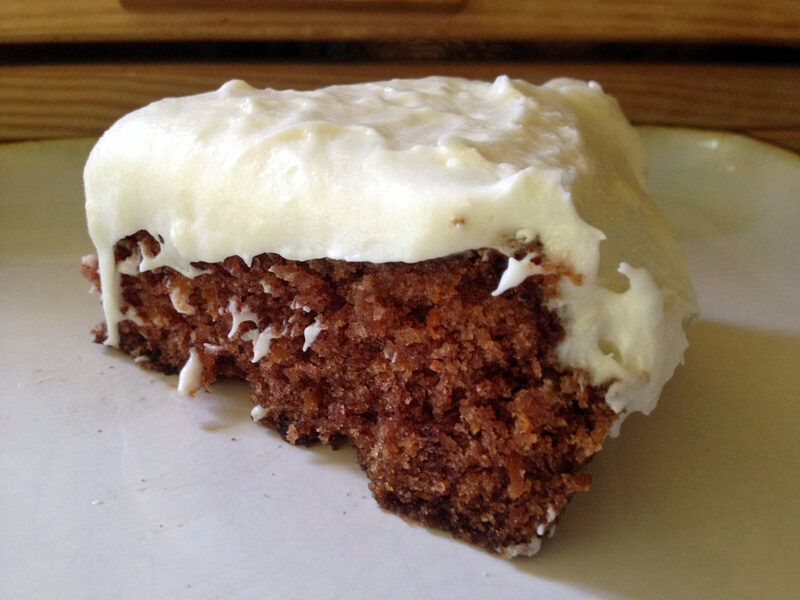 I picked out a tin of sticky pecan rolls and another oozing with caramel icing to take to our hostess. I congratulated myself on resisting their cream horns and their big donut. No lie. 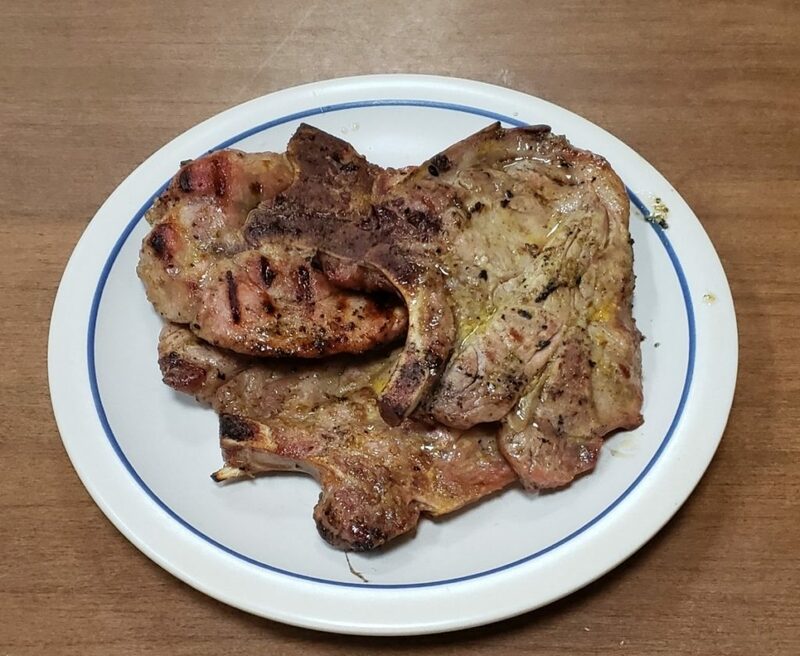 It was the size of a dinner plate. We did give in to a round of butter cheese and hunk of baby swiss. Related Link: Keim’s Big Daddy Donut. While I was waiting in line, my husband sneaked off to buy some stick cinnamon and a bag of oat bran sesame sticks. We packed up our purchases and continued on our way down Rts. 23 and 52 to Huntington, WV and a long-awaited visit with friends. Sunday, the sun was back in the sky and we decided to take a “short cut” back to Rt. 32 by way of Rt. 73. We were warned that it was windy and I’ll warn you, it’s windy but if you aren’t on a strict timetable, it’s a fun drive around and over hills as the road winds through the hollow. Besides seeing road signs for Tick Ridge and Jay Bird Road, you might, like us, see a turkey darting back into the cover of the thicket. Trailers on the hillside five feet from the base of a towering mini-mountain are across the road from the railroad tracks that run alongside of one of the creeks, pronounced cricks. I really had to laugh when I saw an outbuilding with a sign over the door that read Frank’s Deer Urine. If it had said Fox Urine, we’d have made a purchase since the neighborhood skunk population has exploded this year. The beauty of the hills with their tinges of reds and yellows made leaving the Appalachian countryside especially hard. But we were being beckoned home by the wagging tales and licking tongues of a Beagle, a Min Pin, and one enormous Chesapeake Bay Retriever. The call to Keims is strong. We’ll be back. Paula Cohen is a teacher and author in Ohio. 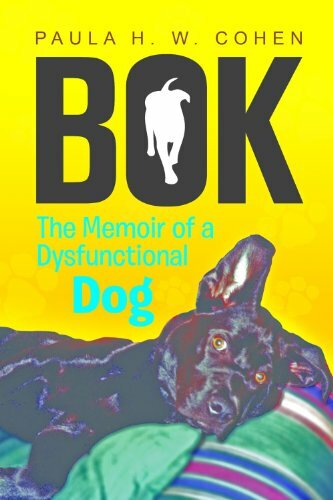 She has written titles like Bok: The Memoir of a Dysfunctional Dog. 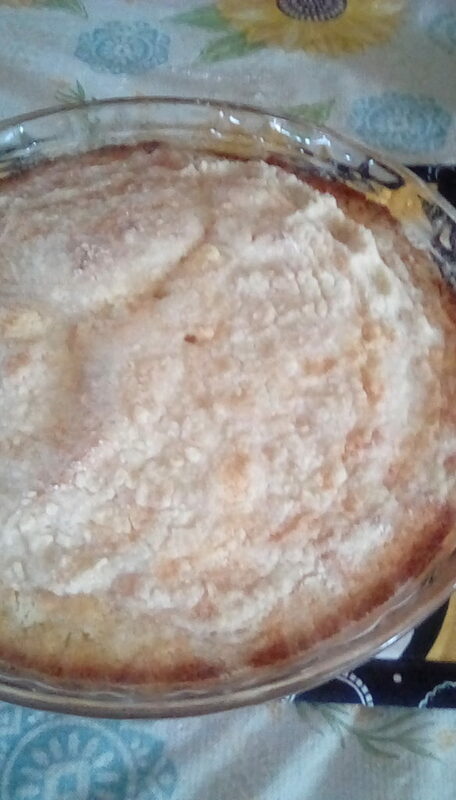 I have a recipe for the Italian creme cake and it is wonderful. For years this was the cake my family asked me to make for birthdays.